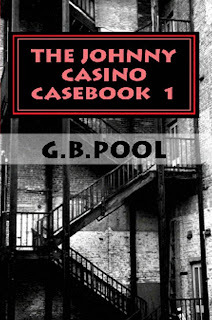 Johnny Casino, the main character in my new series, The Johnny Casino Casebook, is a retired P.I. with a past. He just hopes it never catches up with him. He thought he buried all that twenty years ago, but when your father is the number three man in a New Jersey crime family and your mother is considered Mob royalty, life comes at you hard. He cashed in that existence for life as a private investigator in Southern California and would have stayed with it if fate hadn’t tossed him another bone in the form of cold, hard cash. But for Johnny, things can get complicated, like the two dead mobsters he has to explain. But it doesn’t stop there, as these ten interlocking cases in Johnny Casino Casebook 1 – Past Imperfect show, because everybody has a past. I use the premise that everybody has a past throughout the first book. Each short story delves into someone’s life, starting with the first case that pits Johnny against somebody from his Mob past. But as each case unfolds, more of Johnny’s life is told. One story told in flashback explains why he wanted to escape his early Mob life. Another has Johnny working with a bunch of aging actors from the silver screen. Another story introduces him to the woman who ends up changing his life, this time for the better. I decided to write the Casebook series in short story format because Johnny’s "voice" lends itself to that style. He grew up watching tough Noir movies on an old 13 inch black and white television and he picked up that attitude. He tells his tales in first person, so the reader gets an up-close and personal view of his life, just like the old-time detective novels. Since the stories are linked by one main character and several returning characters, I consider the series like a TV show where the hero grows season after season. I do leave a question at the end of the first book to be answered by the second book which comes out next year. And there is a major cliffhanger at the end of Book Two called Finding Johnny Nobody that is answered in the third book, Just Shoot Me. The reader gets a complete view of his life as well as meeting lots of interesting characters, just like in a novel, but they get to read more than twenty stories in the process. I really like this format and I hope the readers do, too. A former private detective and a reporter for a small weekly newspaper, Gayle Bartos-Pool has one published book, Media Justice, and several short stories in anthologies, LAndmarked for Murder, Little Sisters Volume 1, and Dying in a Winter Wonderland. 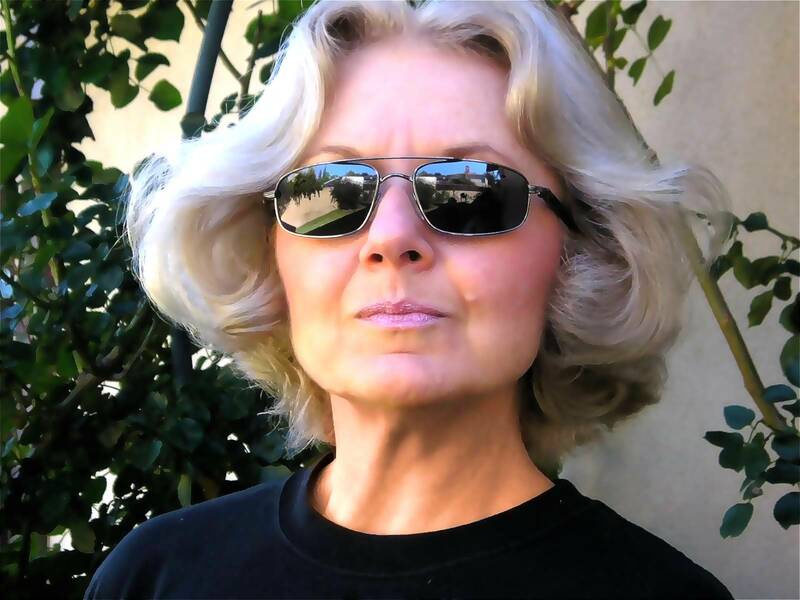 She is the former Speakers Bureau Director for Sisters in Crime/Los Angeles, and a member of Mystery Writers of America. She also teaches writing classes: "Anatomy of a Short Story," "How To Write Convincing Dialogue" and "Writing an Opening Line" in sunny Southern California. The Johnny Casino Casebook 1 – Past Imperfect is available on Amazon. You can also read about Johnny on my website: www.gbpool.com. Thanks, Sheila, for inviting me to your blog. I have enjoyed discovering new writers here and also hearing about your concern for our little furry and feathery friends. My husband and I currently have a house full of foundlings. Sherlock and Foxtrot came from the Los Angeles pound. I saw Sherlock and wanted to take him home, but when we saw the other little guy jumping all over him, we realized they were brothers and took them both. 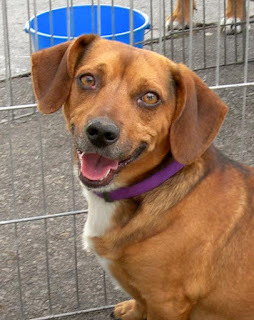 Watson came from Pooch Heaven, an animal rescue place in our area here in Southern California. I had seen him in one of their pens several times when we went out to dinner in the area and decided we had room for one more. Candy came after a knock on the door. Some little girls in the neighborhood thought Candy was one of our dogs and they were returning her. 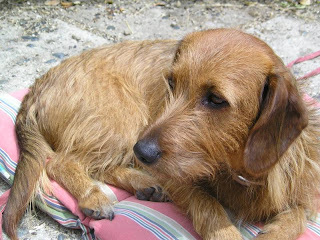 She wasn’t ours, but when I was holding her and the girl’s mother said they would take her to the pound, I just couldn’t let her go. We tried finding her home by placing notices in the neighborhood and at the local pet food store, but nobody came for her, so she was added to our brood. Our last foundling, Fred, was walking around in the backyard one day, helping himself to the birdseed I put out for birds and squirrels. 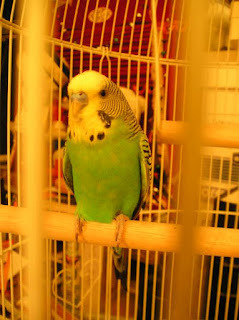 He let me catch him and I keep him in a cage in my study. 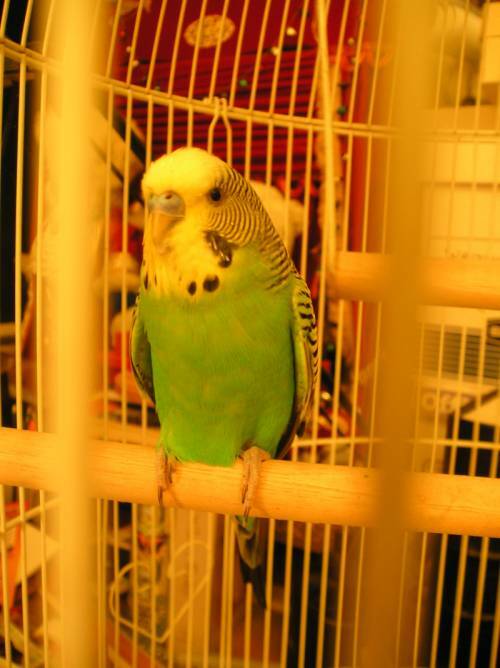 Fred is a parakeet. He helps me write. A book in short stories -- that is so interesting! I love the idea. 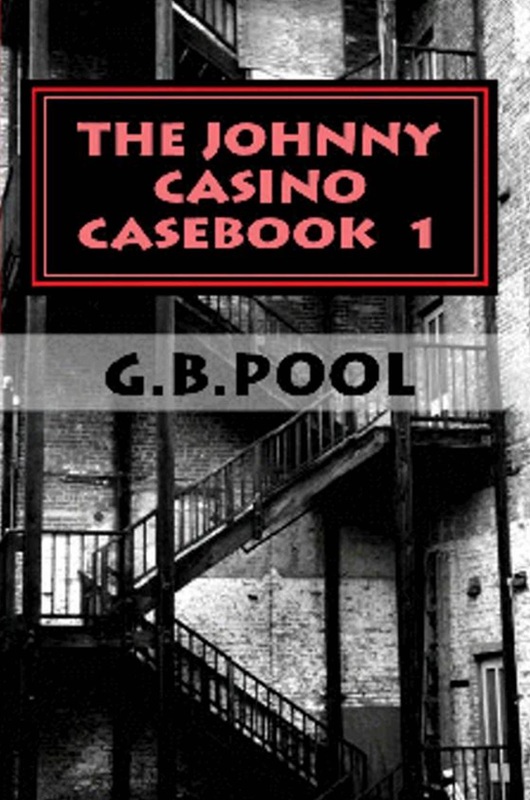 The Johnny Casino Casebook is like reading a novel with one central character, but he has different adventures, or cases, and some characters return in subsequent stories, just like an on-going TV series. It's great beach reading. Can't wait to meet Johnny Casino! Thanks, Alice. I've been working on him for several years, so he has become one of the family. I too love the idea of a novel in stories and look forward to reading about Johnny. I'm wondering - did you write the stories in the order in which they appear did you create order later? I wrote several of the stories in order, then wrote a few flashbacks to explain some of the things mentioned in the opening story. The story at the beginning of book two, Looking For Johnny Nobody, was originally in the first book, but it was so dynamic, I pulled it from the first book and let it open book two. Then I left a major cliff hanger in that second book that I hope will propel folks to pick up book three, Just Shoot Me. But mostly I wrote them in order with flashbacks to pick up some very important details in Johnny Casino's life.